The path to being a professional athlete is tireless. Countless hours of early morning skates, gym sessions or studying film coupled with a little talent can go a long way. In order to succeed as a cloud communications provider the path is equally grueling but consists of constant innovation to create the most comprehensive solution available. 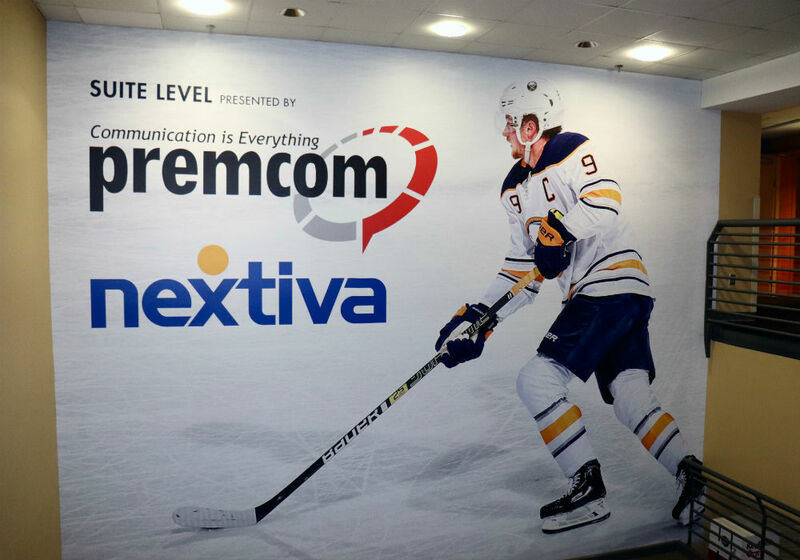 Nextiva announced today that the NHL’s Buffalo Sabres selected the cloud communications provider as the official communications provider for the team. Recommended by trusted Nextiva channel partner PremCom, the choice was simple. Nextiva’s voice solution will support the Sabres’ communications as a whole, equipping each of the arena’s suites with Nextiva phone and service, the KeyBank Center is prepared to deliver an exceptional communications experience. 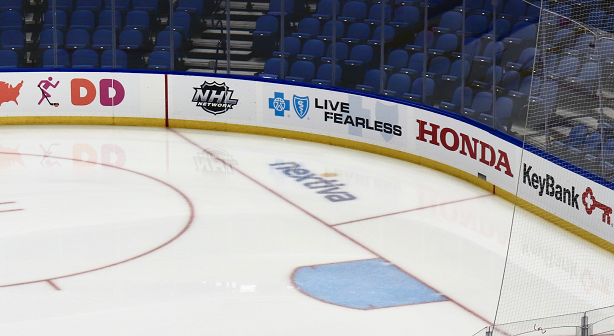 Probably the “coolest” part of this partnership is the display of Nextiva’s logo on the ice – I couldn’t resist. “We have made several upgrades to our private suites over the past few seasons, and with Nextiva’s help, every suite is now fully equipped with first-class communications features,” said Erica Muhleman, executive vice president of business development for the Sabres and Pegula Sports & Entertainment. Professional sports organizations require robust communications performance. From sharing scouting and injury reports, to discussing last night’s game, every interaction could mean the difference between a win and a loss.